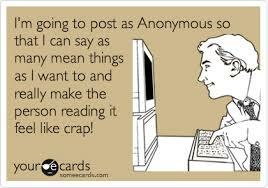 Respecting anonymity in Blogosphere. I have been receiving quite a number of comments from people who seem to think they need to "expose" the real identities of "Anonymous Bloggers" like Life of Annie, Jebat Must Die and Lim Sian See. Mainly, their aim with these exposés is to discredit these bloggers. To paint these Anon Bloggers like the Unspinners, Seademon, Parpukari and A Voice as machais, people with low morals, girlfriends/boyfriends keliling pinggang, merajuk tak dapat project, alcoholics, mengampu sebab dapat project, etc. Most of the unsolicited info are not true at all. How would I know? I know because I happen to know Annie, Jebat. LSS and many other Anons personally or by association. But even the few info that may be factual about these Anon Bloggers are not going to see publication, at least not on my blog. That's because I've always believed we should respect these individuals' desire to write freely as Anons or as whatever pseudonyms they fancy. Even Blogspot, Wordpress and most blogsites allow for the use of anonymity, so WTF are we to say otherwise? In fact - and this is where it's so ironical that it's funny - even those who are trying to expose Annie, Jebat and LSS wrote to me as Anonymous or some silly nicknames! Since I started blogging in 2006, I have always encouraged people to write using their own names. That way, you are compelled to be accounttable for whatever you write. Anonymity tends to make you feel reckless in the they-won't-catch-me way. Some Anons have defamed and lied in their writings thinking that Anonymity would conceal their true identity. Well, we have seen our authorities charge bloggers whom everyone thought were "Anons". A few have served jailed terms and fined for their crimes. Yes, the truth is nobody in cyberspace is truly anonymous: someone will always know someone who knows Annie or Jebat or Lim Sian See. I recently discovered Grandmarquis's Blog belonging to another Anon. This chap doesn't blog often but he is worth reading. His latest piece is on the NFC issue but it's his scathing attack on Wong Chun Wai's "moderates" and his defence of the "real moderates" back in September that caught my attention. Go on, ask yourself, Are 90% of Malays extremist? Hai bro, takde gambar annie bro? Dia masih amoi atau ahsoh bro? Helen ang tu muslim ke bro? Mohon pencerahan.. The NFC piece is an appeal to sentiment purely, but then there are the facts as well. It was "settled" because of a letter (never seen by the public) from Shafee (yes, that one) to the replacement A-G. And the case is dropped even before the trial gets underway. However, the previous A-G (who brought the charge), the High Court and Court Of Appeal (who dismissed attempts to strike out the charge) most definitely thought there was a solid case to answer. Everything undone, by a secret "letter". I guess it's the same logic that saw Zeti try twice to have 1MDB prosecuted, only to have the case swept under the carpet. In the meantime, I would love to see how the logic of "NFC dan Sifat Hasad Sesetengah Manusia Beragama Islam" transfers itself to the YAPEIM case. There is no part of Islam that condones dishonesty, lying, and the perversion of justice. need to stop promoting grandmarquis. read his comment in your previous article where he tried to diss jmd about the rm20 salary hike thinking it was unbelievable and that jmd is stupid, then some commentor demolished him by saying that the rm20 hike was from khazanah's own survey. grandmarquis need to open his eyes more and read more. It comes from a guest columnist. Worth reading. The case for Yapeim is something that happen out of malice. Especially when they were bashing bout kursus kahwin. I was involved with one student organization in Japan (not directly but was there when the whole plan was mapped out and executed), the organization was looking for niche area where other student organization have yet to delve in. They have an idea of having kursus kahwin in Japan, and they went to Jakim to ask for assistance. The interesting part of taking your kursus kahwin in foreign country is that you will have unlimited valid date for the certificate which different if you take it in Malaysia where there is time limit where you have to get married once you have the certs, if not you have to go through it again. Jakim agreed to help and send their ulama to give student courses. However, the inform the student organization, that they don't have budget special for doing this kind of things, and suggest that student contact Yapeim, so basically, yapeim actually helped to make everything a success. Not only it was done in Tokyo, if I'm not mistaken they went to Osaka to do the same program for student around that area. I find it sad that people malign Yapeim, not only that, the people/student who involve in this none of them try to voice out the truth. Shu zheng was much more ridiculous and being untruthful by just showing the number in the ranking and not what is written on the original source. The source put us as low warning group. And we have for the last few years maintain in this group for years and far away from slipping into warning. You can check the source material. 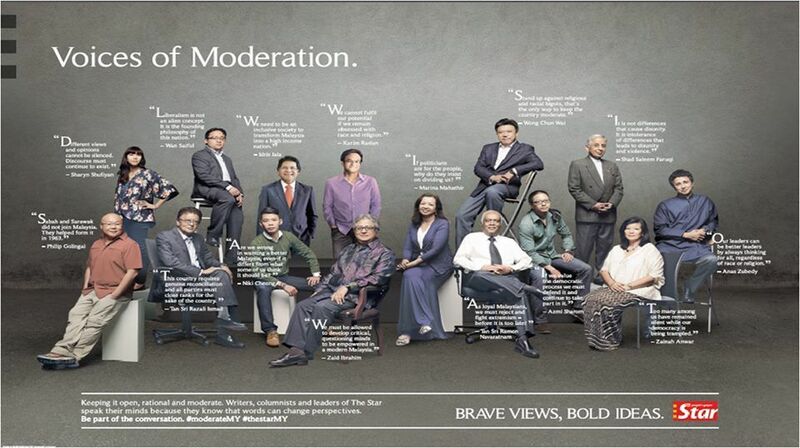 now you are promoting voice of moderation, that you always viciously criticize..waauuu.. how times have changed since 2006.
tak nak mintak naik gaji minimum ke?? "In the past, policy and administrative mistakes, such as from Mahathir and Anwar, in particular the empowerment of the muftis and mullahs and the marriage of politics and monied interests, these were committed without malice and without design. If wealth was squandered it was out of sheer stupidity and naivety. Under Najib, that past has now morphed and taken a new form, and it is this new form that worries Zaid most. In this form, Zaid has rightly observed that neither ideology nor principles drive Umno today but brute strength so that power is deployed arbitrarily, the sacking of Muhyiddin Yassin being a case in point. Out the window go due process, mitigation, hearing the other side; fairness and decency are no longer rules of the game. Instead, one hears Najib cursing like a mad man, ‘No Retreat! No Surrender!’ as if his own compatriots are actual enemies instead of brothers who happened not to like the way nor find acceptable the way he does things, given especially those things reflect on the national interests. In this form, too, materialism is the engine of influence and this influence is flaunted openly: cash is king, you scrub my back, I scrub yours. In these individualistic and personal qualities of influence peddling, the egoist, narcissistic nature come to the fore of politics. They become pre-eminent, so that in the conflict between one and all, party and national interests get kick downstairs if not into the basement. Hence, Najib has no qualms leaving his personal bank account open for money deposit." Looking at the comments, i would urge most of u bka blog sndri la..anon pn xpe..
His naiveness was exploited by the jew Goldman Sach who boost his ego and made najibforgot his malay kampungs base. The Arabs brought him to a rented yacht and Jho Low stoke his ego and voila the greates heist of 42 billion was exploited with the help of Ananda Krishnan, Lim Kok Thay, etc. The naiveness of the kampung Ketua Bahagian who dont understand the enormity of 42 billion still counting his RM5000 monthly income which is not enough to live in KL. While the country is shocked at 42 billion debt that UMNO has guaranteed, the gullible kampungs people talked about MAS stewardess costumes. So that is how the gathering of UMNO is viewed of poor kampung folks, enthralled with their so called power when in fact, all of Najib henchmen are Christian like Idris Jala who is not even at the gathering but head Pemandu with 22 billion and an almost chinese and indians staff. The UMNO kampung people dont know that Najib and Mahathir Khazanah has been giving money to Indian Yepme to the tune of almost half a billion while malay business men talked about 5000 loans muahaha.. The budget of DBKL is an astounding 2.2 billion yet Khazanah budget for Yayasan Hasanah headed by the wife Indian bumiputera Nagalingam is 3 billion! No UMNO member asked why the Bernas is in the hands of monopolist bengali, why Kuatan Port is in IJM chnese, why Westport in Indian ngalingam. They laughed and clapped about MAS stewardess dress instead of losses, poor buggers.